The Hybrid: To Me Or Not To Me - That Is The Question | Warped Factor - Words in the Key of Geek. Me, me, me, it’s all about Mee, says Tony Fyler. The end of Heaven Sent has got fans all in a tizzy with its multiple Me-anings. Did the Doctor say "The Hybrid is me," meaning himself, or "The Hybrid is Mee," meaning Ashildr? We know she's in the finale so both options remain equally valid as of now, and both of them have dramatically different story implications. We'll get to those in a moment. But these are just the two most likely outcomes, and people are keen to point out other hybrids from even recent history. There's a valid point there - Jenny, the Doctor's daughter, was a hybrid. The DoctorDonna was a hybrid. Dalek Sec was a hybrid and so were his human-Daleks (directly contradicting the Doctor's declaration that nothing could be half-Dalek. Hell, in Series 8, you could make a convincing argument that Rusty, having seen inside the Doctor's mind and adopted his outlook, is 'half Dalek, half Time Lord.' And even in Series 9, you could make a claim for Clara Oswald too – she was stuck inside a Dalek casing when ‘all Daleks’ received a boost of Time Lord energy, and, not for nothing, but when the Raven hit Clara there was a burst of light, which we didn’t see when it hit its previous victim. Time Lord/Dalek energy, maybe? Might The Impossible Girl yet be back for one more Hybrid-shaped miracle? The problem seems to be that hybrids are a fairly common occurrence in Doctor Who, so elevating one as if it's something special means you have to deliver on its status as THE Hybrid if it's not to seem a bit bizarre and unnecessary. But the fact remains. "The Hybrid is me/Mee" is what he said. The Hybrid who will conquer Gallifrey and stand in its ruins. Well, the Doctor was there when Gallifrey fell, so him being the Hybrid would make some sense. Not much, given the ‘forcing together of two great warrior races’ line, but some. Also he's seemed to feel he's being watched this season, talking to the sky as several Classic Doctors did when they wanted to send a message back to nosey Time Lords (in particular the rightfully paranoid Sixth Doctor). Also, it now seems likely that it was the Time Lords who arranged the trap on the Trap Street and imprisoned him in his own confession dial for at least the sensation of two billion years. If Missy escaped Gallifrey with a Matrix Data Slice, there's no reason to think the whole confession dial prison wasn't Matrix technology too, the Veil a form of interrogator to tell the Time Lords what they need to know about the Hybrid (though not for nothing, some of us are still a bit sketchy on the whole Time Lord prophecy thing. You’re Time Lords, grab Tardis and go and find out what the Hybrid is for yourselves if you’re that worried about it!). But what does that leave us with? If the Doctor is the Hybrid, what’s the story? 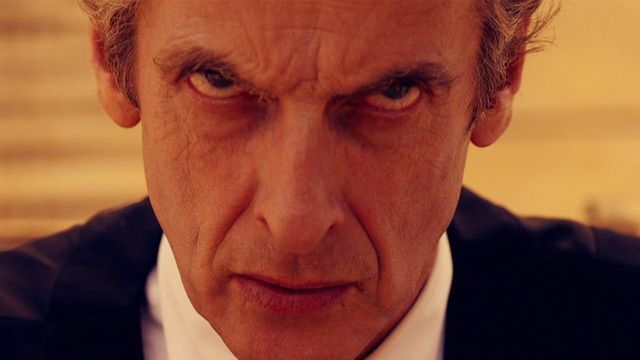 A still-furious Doctor coming to wreak revenge? A Doctor who over the course of Series 9 has gone beyond the law, and beyond his own moral codes, to save a single life, and then lost her anyway because his own people wanted to bring him to account yet again? Borderline Valeyard territory? 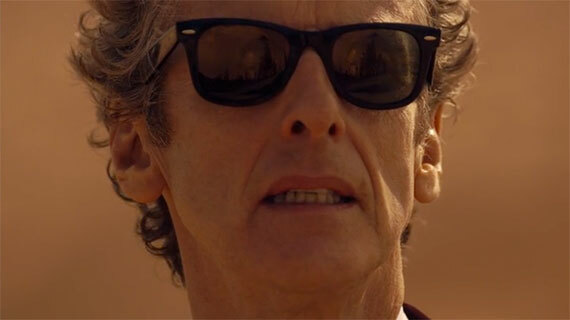 There's talk of a regeneration in progress in the Next Time trailer, which seems like an obvious hoax, but who knows? Maybe the regeneration is the Doctor being ‘purged’ of his darkest impulses (which would conform to Valeyard history without him necessarily having to have a storyline in the here and now). Or there's the other option. The Mee option. For this, let’s go back and calmly look at what we know. 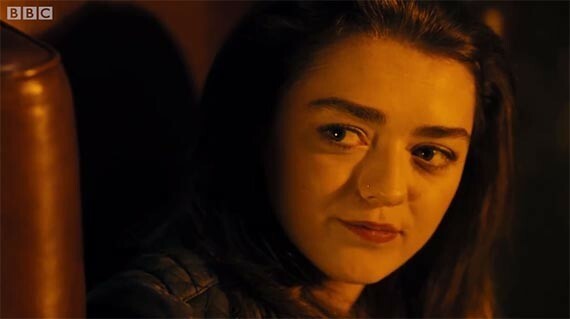 Ashildr took the confession dial from the Doctor before the ‘teleport’ took place. Presumably the teleport included a kind of miniaturisation component, leading to the teleport bracelet falling off his wrist and him being transferred inside the confession dial. Which was still in Ashildr’s possession. So for the Doctor, after his sensation of two billion years of torment, to walk out of the confession dial into the Gallifreyan wilderness, one of three things has had to happen. Either the Time Lords have reclaimed the disc from her, or there’s been some automatic system to transport the confession disc back home, or, which seems most likely given what we know of Ashildr, the deal she did with the Time Lords (or conceivably, still, Whoever Else) to capture the Doctor had a price on it – at least transportation from Earth to Gallifrey, and possibly, just possibly, transformation into a Time Lord. We know that’s possible now, after the revisionism of New Who and the River Song development, and it would make sense of the regeneration carrot dangling in the trailer. The question then would be why she’d conquer Gallifrey and stand in its ruins. If Ashildr’s the Hybrid, then we could be heading for a Deadly Assassin-style smackdown in the finale. If the Doctor’s the Hybrid, we could be more into Trial of a Timelord/He Jests At Scars territory, the Time Lord notsomuch Victorious as Downright Freakin’ Furious. If Ashildr becomes a Time Lord and looks like a young First Doctor, that’d be entirely insane but really rather fun (and it’d make sense of the whole Paul McGann ‘half-human’ debacle). Ultimately, nothing is certain, and that tells us something in itself – it tells us that the series arc has been woven with more subtlety than you might imagine – we’ve seen a Doctor pushed to a point where he could credibly go completely off the rails, intentionally bringing down the Time Lords after working so hard to find them, where he could credibly become the Valeyard or a Valeyard-like character, the Evil Doctor. And in a universe of hybrids, Ashildr is certainly…one, and we know that she turns up in the finale, and that she knows herself as Mee, rather than as Ashildr, so this too is possible. Several things though can be guaranteed – on the basis of the majority of Series 9, most people will love it, whatever the answer turns out to be. Others will desperately claim it’s put the final nail in the coffin of the show they used to love. The ratings will be disappointing, because it’ll be on too late for its traditional family audience, and catch-up TV doesn’t serve the same social function as Doctor Who in its proper time and place, of being ‘gather-together television,’ and the hyperbole of doomsayers will still be ridiculous, in the same way the predictions of those who claim the end of the world will happen next Saturday are ridiculous. But thanks to the writing and the red herrings, the question of whether the Hybrid is ‘me’ or ‘Mee’ is too close to call. Tick, tock, tick, tock – not for the first time, the long way round is agonising. Anybody fancy stealing a time machine with me?